In a world governed by unspoken rules, one young woman is about to break them all . . .
Dutiful Jessamine Barry is tired of waiting patiently for a man to decide her future. So even though Lancelot Marfleet, second son of an aristocrat, is taking an interest in her during the London season, she refuses to consider him as a suitor. Instead, she's ready to take fashionable society by storm--and finds a rakish young man all too willing to help her do it. Lose yourself in Ruth Axtell's sumptuous story of discovering one's true self and finding true love. A Heart's Rebellion was an interesting story. It was beautifully written and the detail was wonderful to read. Ruth Axtell was able to capture the regency era for these characters. The gowns, the attitudes, the speech, and the hairstyles were all captured in away that brought you back this era. What threw me off of the story a bit was the character of Jessamine. When we are introduced to her, she comes off as cold and bit spoiled. However, as the story unfolds, you find out that isn't the case. She isn't the stuck up girl I thought her to be, but as the story continued I realized that Jessamine reminded me of Scarlett O'Hara, not in the manipulative, cold. and calculating way, not that at all, it was how Jessamine stuck to this idea of a man, like Scarlett did to Ashley Wilkes. Jessamine thought herself more than old enough to presented to London society after skipping a few seasons, but with the thoughts she had and her innocence/naive on many issues, she had quite a bit of growing up to do, she was far from ready in my opinion.It was hard to connect with her. Lancelot Marfleet I connected with instantly. He was a nice, well educated, and cultured man who, by his father's edict, needed to find a wife. However, he was determined to marry for love, so he was willing to look, but not willing to settle for just anyone. As the second son of his family, he wasn't destined to inherit, so he followed his calling and became a minister. There was one small flaw in Lancelot, it seemed that he fell instantly for Jessamine at first sight, and then when she acted a bit snobbish, it didn't put him off, but wanted to get to know her more. He wanted to keep giving her a chance despite her attitude toward him. He is a persistent character, which was nice to read about. I enjoyed reading about Megan, Jessamine's friend, who traveled to London to be presented to society with Jessamine. She was a sweet girl and in all honesty, the balance Jessamine needed. Megan was able to bring the positive out of Jessamine. 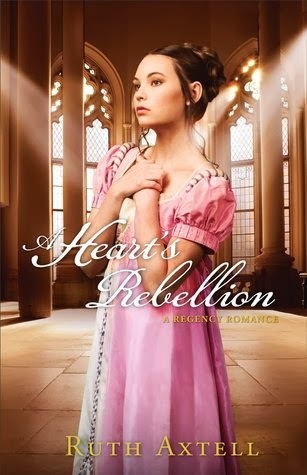 A Heart's Rebellion was an enjoyable story over all. The research that went into the story really brought these characters alive. 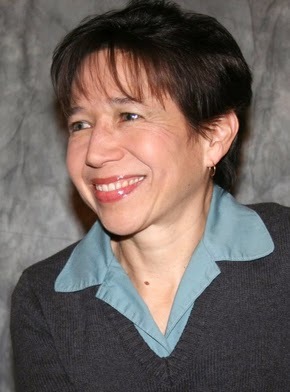 Ruth Axtell is the author of many novels, including Moonlight Masquerade and Wild Rose, one of Booklist's Top Ten in Christian Fiction. Currently a resident of Downeast Maine, Axtell has lived in the Canary Islands, Miami, and the Netherlands. Learn more at www.ruthaxtell.com. Thank you to Revell Blog Tour Program, I received a copy of this book for free in exchange for an honest review.